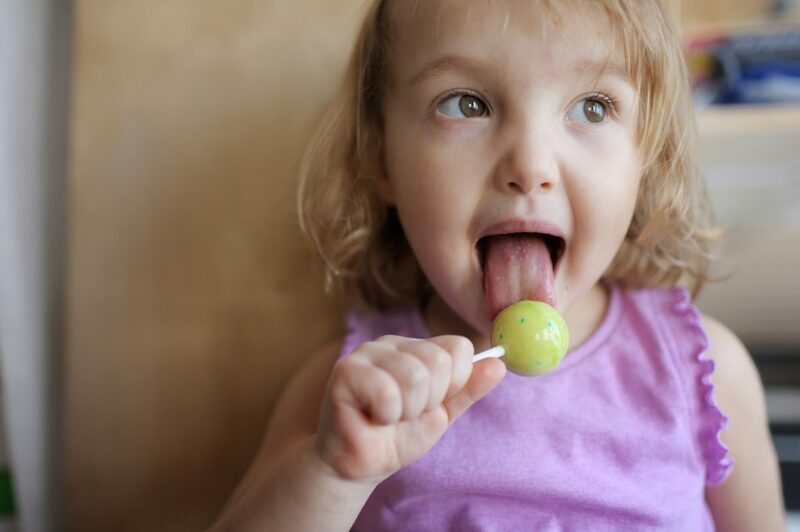 Candy and other sugary snacks are bad for your child’s teeth as the sugar breaks down, binding with the bacteria in the mouth to produce an unwanted acid that wears on the enamel. The acid can form the start of cavities or worsen cavities that are already there. It’s crucial to be aware of foods that are good and bad for your child’s teeth. At Pediatric Dentistry of Suffolk County, we recommend staying away from or only eating in moderation these four foods that are equally as bad as candy. Acidic fruits are all citric fruits that contain high amounts of acid. These include oranges, grapefruits, lemons, limes, and their juices. These can cause tooth erosion and speed up the process of current cavities. If your child eats citric fruits or enjoys citric drinks, make sure to brush their teeth afterward and remove the acid. Peanut butter is a common snack for kids of all ages. Of course, it has its good components of healthy fats, protein, and fiber, but it also contains a lot of sticky sugar. This sticky sugar easily gets between the teeth and is difficult to remove. If your child is a big fan peanut butter, make sure they have a significant amount of water to wash it down. High-sugar beverages like sodas, energy drinks, and Gatorade can have extremely negative effects on your child’s teeth. When you’re in charge of bringing drinks or snacks to your child’s sporting events, bring water or other less sugary drinks to keep their teeth happy and healthy. Any starchy food can quickly get caught between the teeth and become trapped. Due to its texture and the components in the substance, it can be hard to remove. Make sure your child brushes his/her teeth and flosses after eating potato chips. If not, the particles can irritate the gums and stay stuck to cause a build-up of bacteria eventually. Now that you are aware of some of the foods that are equally as bad as candy, it’s important to try to reduce your child’s intake of these specific items. You don’t have to ban your child from eating or drinking them but explain the importance of cleaning their teeth as well as minimal intake. For more information on foods or drinks that are healthy and unhealthy for your child’s mouth, contact us today!